A Sunday stroll through San Telmo led Lucas and me to Habibi, my favorite place for Mediterranean food in Buenos Aires. Both Lucas and I love Middle Eastern food, so we were excited. 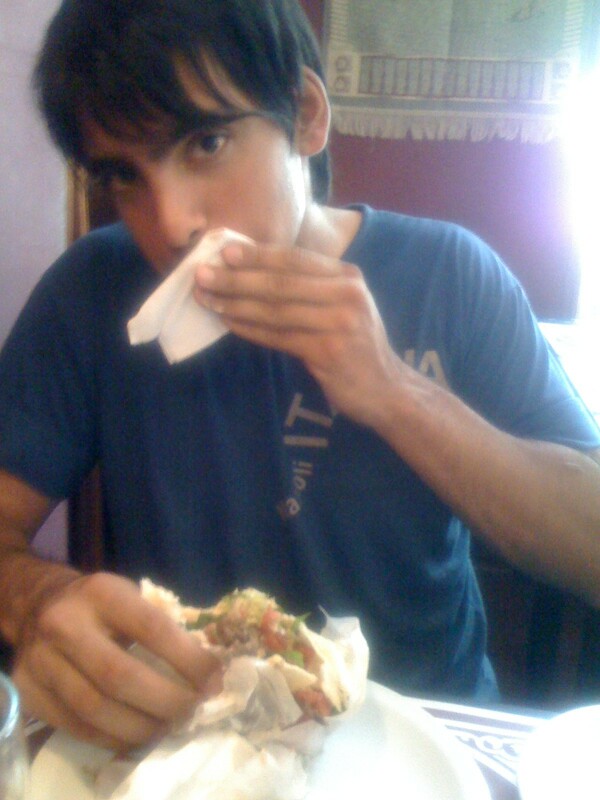 Arabian food is particularly popular in Buenos Aires, and it is very easy to find Shawarma (think Gyro) at fast food joints all over the city. Habibi has a good mix of all varieties of Mediterranean cuisine. 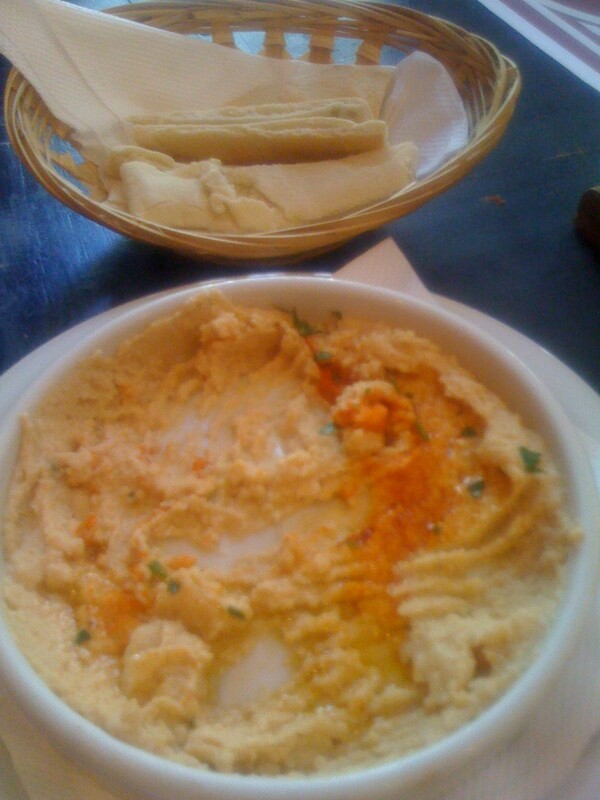 We started with hummus and pita for an appetizer. It was an extra hot day, so I opted for a Greek salad as my main course. It reminded me of when I studied abroad in Greece. Our class would spend all day at hot archeological sites. 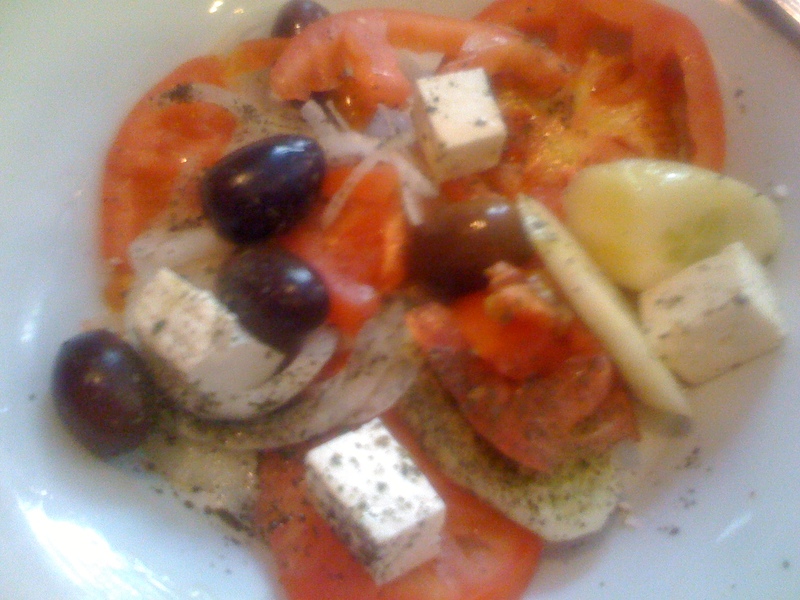 For lunch there was nothing better than a Greek salad (χωριάτικη). The cold crisp tomatoes and cucumbers were so refreshing. 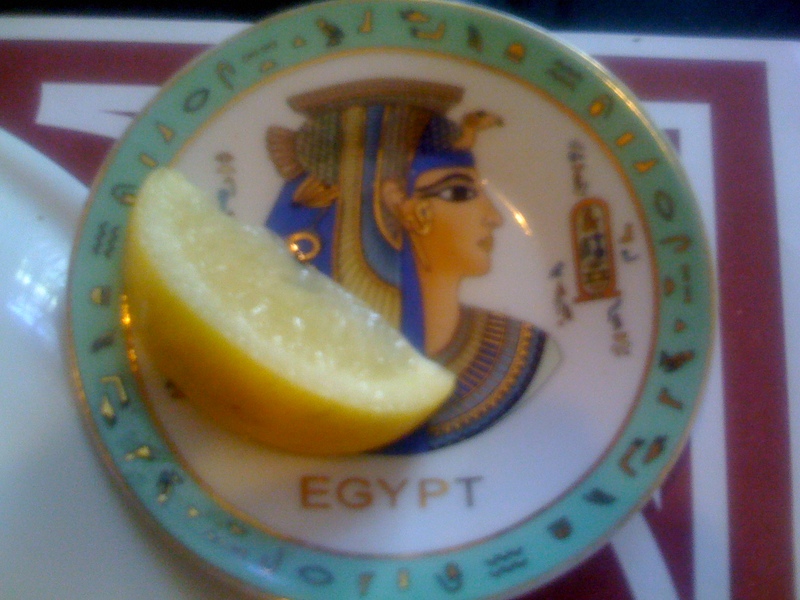 Habibi’s Greek Salad comes with my recommend. Lucas, manly Argentine that he is, had to have meat. So he ordered a shawarma. 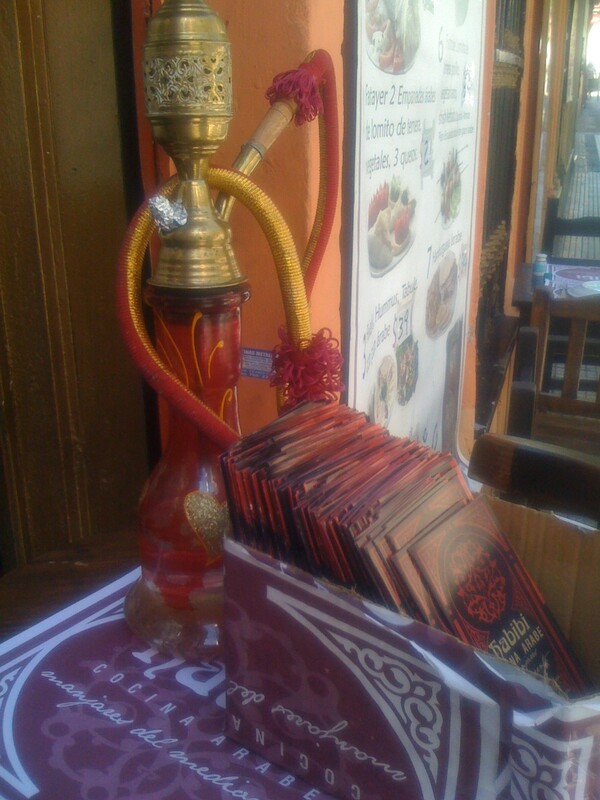 Habibi has great atmosphere, with rich purples and golds as the main colors. Hookah pipes are used for decoration and I’ve heard that at night it opens up as a hookah bar. Loved their dishes. The Arabian music was a bit too loud, and the service isn’t the best, but the food is fantastic, and the overall experience is fun. I highly recommend this place.